Orchid Health's Wade Creek Clinic has received accolades from the state of Oregon. The clinic at 535 N.E. Sixth Ave. received the 2018 school-based health clinic excellence award from the Oregon Health Authority, Public Health Division's Adolescent & School Health Programs. A letter from Adolescent & School Health Program Manager Jessica Duke praised the clinic for its dedication to providing health services in the Estacada community. 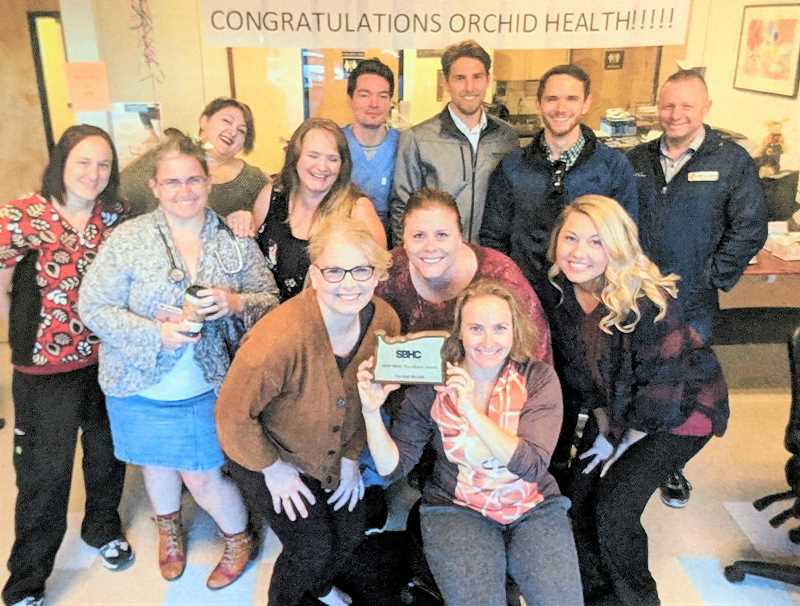 "From integrating behavioral health providers into primary care, developing an easy-to-navigate and youth-friendly website and having transparent policies and procedures, Orchid has reinvigorated the Wade Creek SBHC and made it a hub for physical and behavioral health access for the entire Estacada community," Duke wrote. A significant element of the award was an increase in student visits to the clinic. During the 2016-17 school year, Orchid's school-based health center served 874 students. During the 2017-18 school year, this number increased to 1,418 students. Since 2015, utilization of the school-based health clinic has increased by 900 percent. "(The increase in visits) speaks to our relationship with the schools and our commitment to removing barriers," said Orion Falvey, executive director and co-founder of Orchid Health. There is no co-pay for students visiting the school-based health center, and same day visits are available for immediate medical needs. "The culture we're building is a culture of putting patients first and creating the best experience for patients," said Falvey. "We're really focused on compassion and making students feel heard. This is a safe place to come receive medical care and advice," added clinic manager Jennifer Harris. Orchid Health has been serving Estacada since 2016. Its staff includes a physician, two physician assistants, a licensed professional counselor, several medical assistants and a front desk and outreach team. There will soon be an additional physician assistant joining the clinic. Staff at Orchid work collaboratively with the Estacada School District to connect students who need care with services. Clinic staff also facilitate events like a hand-hygiene presentation at the schools and a summer clothing drive. "It's a real joy to get into the community and let people know about us," Harris said. Orchid Health staff noted that the school-based health center clinic services are complementary to that of a school nurse. "The school nurse is a great entry point and often refers students to us," Falvey said. "We're here for immediate care, complex care and coordinating care. We can do all of that as people's medical home," he said.